La gourmet Shogun Miyake 2 is constructed for easy and healthy cooking. It is fashioned with stylish looks for Millennials and the kitchen proud owners. 2. The interior non-stick coating uses Tritanium Dura, a 6 layers coating, which is special with long lasting non-stick capabilities. 3. The outer coating is flame resistant with high gloss finish and finger print proof. Tritanium Dura meets the highest safety standard and quality assurance. It complies with major International Regulations, F.D.A and European Standards for food contact use. CLEAN THE COOKWARE – Before first use, wash the cookware thoroughly in warm soapy water with non-scratch scrub. Rinse , dry and its ready to use . 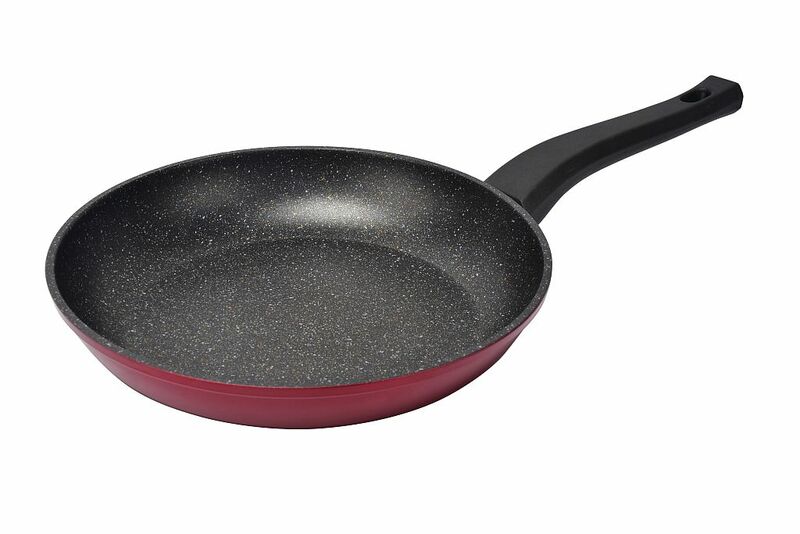 LOW TO MEDIUM FLAME – The forged aluminum body of the Shogun non-stick cookware gas great heat conductivity, so please use low to medium heat. Start with medium flame and turn to low flame once cookware is hot. OVERHEATING EMPTY COOKWARE – Do not overheat and empty cookware over high flames as it can cause damage the non-stick coating over a period of time. Just heat and cook immediately. After use , please clean interior cookware with dish drop and a non-scratch sponge. For stubborn stains or burnt food please put some water and dish drop inside the cookware and boil on small flame to loosen stubborn stains. Remove , wash clean and dry . Always clean the exterior of the cookware with dish drop and non-scratch sponge. If stain is on the exterior of cookware was immediately . Do not burn the stain over the flame as this will cause the stain to be infused into the exterior cookware and will be difficult to remove. However this will not influence the performance of your cookware. Wet-in-wet coating reinforced with Marble resistant particles.